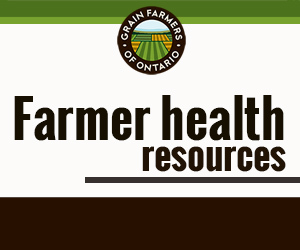 This report was written to provide the Grain Farmers of Ontario with information on issues relating to the use of farm crops – specifically corn, soybeans and wheat – for the production of biofuels and other non-food bioproducts. The report provides an overview of Canadian and global biofuel manufacturing, and reviews publicly available information on the effects of biofuels and bioproducts on environmental quality, crop and food prices, and global food supply and hunger, especially during the grain price spikes of 2007-2008 and 2010-2011. 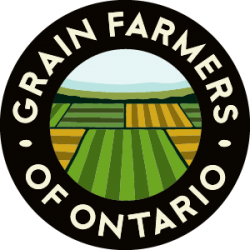 The report also makes some projections on what lies ahead and implications for Ontario grain farmers. The report does not include any examination of federal or provincial government financial programs for biofuels in Canada or other countries – nor defense or criticism of these policies – other than a consideration of usage mandates and import duties. Fuel ethanol made from cane sugar (Brazil) and from corn in the United States and Canada is the dominant global biofuel. Fuel ethanol is also made from wheat in Western Canada and in some other countries including Europe. Biodiesel is also important, especially in Europe where it is made from rapeseed oil, and in the United States and Argentina from soybean oil. Most biodiesel in Canada is made from used cooking oil and animal fat, though greater production from canola and soybeans is expected. In 2010, the global production of fuel ethanol and biodiesel amounted to about 85 and 15 billion litres, respectively. Corresponding quantities for Canada were about 1.83 billion litres of ethanol and 110 million of litres biodiesel – and for the United States, 54 and 1.5 billion, respectively. Biofuel development is being driven by mandates, subsidies, and supportive import-export policies in many countries of the world. Canada now has a mandate for an average of 5% ethanol in Canadian gasolines, and an expected mid-2011 mandate for an average of 2% biodiesel content in diesel distillates. Canada will need to increase domestic production of ethanol and biodiesel by 7% and 450%, respectively, if these mandates are to be satisfied using biofuels made in Canada. About 15 percent of global corn production or about 5.7% of total global grain production is used for ethanol production (about 3.7% when byproduct production is included). About 10% of global vegetable oil production goes to make biodiesel. In Canada, an estimated 3.5 million tonnes of corn and 1.0 million tonnes of wheat per year (equivalent to about 30% and 4% of total Canadian production, respectively) are now required to produce fuel ethanol. Ethanol production from grains is expected to level off in North America during the decade ahead, though biodiesel production will likely continue to grow more quickly, at least on a percent-per-year basis. The rate of expansion may be greater in other countries, especially South America and Europe. Major growth is projected for cellulosic ethanol though production is still miniscule. The current global market for bioplastics is estimated at $1-2 billion per year, and dwarfed by the size of the global biofuel market and even more so by the size of the world market for plastics at $1 trillion or more. The global bioplastic market is projected to be worth $6 billion by 2015 and $20 billion by 2020. Ethanol blending of gasoline has been supported globally as a mechanism for environmental improvement. Ethanol has replaced other more hazardous compounds used for octane enhancement in gasoline while also reducing harmful engine emissions, reducing the usage and importation of petroleum and refinery products, and reducing net greenhouse gas emissions. A wide range of estimates exists concerning the magnitude of benefits of fuel ethanol in reducing net greenhouse gas (GHG) emissions and over-all fossil energy efficiency. All of these include considerations of inputs used to grow corn, transportation costs, soil losses of carbon dioxide and nitrous oxide, and credits for byproducts which are used for feed and other purposes. Efficiencies are generally higher for analyses of Ontario/Canada production compared to the United States, because of the lower use of synthetic nitrogen fertilizer (more manure), less usage of lime and little irrigation in Ontario corn production, and the fact that all Canadian ethanol plants use natural gas rather than coal as the energy supply. Average energy use for corn drying is higher in Canada than the United States. The 62% reduction means an annual reduction of 2.3 million tonnes of GHG emissions or equivalent to the annual emissions from 440,000 cars. About two-thirds of this is in Ontario. While the energy and GHG balances are increasing for fuel ethanol, the reverse is true for many Canadian gasolines because of their increasing dependence on tar-sand petroleum as the refinery feedstock. The blending of up to 10% ethanol into gasoline generally produces about a 1% improvement in caloric engine efficiency, and allows gasoline marketers to use lower-octane levels in “base” (before-blending) gasoline. This is because of the high blending octane of ethanol. There have been recent reports that the production of biofuels may mean the conversion of non-agricultural lands into crop production and that the production of carbon dioxide from tree burning and grassland soil organic matter loss may be very large. However, there is no evidence for this in Canada as corn acreage in Ontario and wheat acreage in Western Canada have not increased in recent years. Total cropped acreage has not changed in the United States. Biodiesel produced from soybeans has much higher energy efficiencies and GHG balances than does ethanol production from corn. The lack of requirement for nitrogen fertilizer and limited need for grain drying with soybeans are predominant reasons. Biodiesel from soybeans has about 88-95% of the caloric energy content of diesel fuel. The highest energy efficiencies and GHG balances are projected to come in the future from cellulosic ethanol manufacturing. For the past three decades, rates of increase in global grain production have generally exceeded the rate of population growth and real grain prices have declined. Real food prices declined by 53% between 1975/76 and 2000/01. Major concerns about the ability of the world to feed itself, which had been dominant in earlier years, were largely replaced with international concerns about excessive productivity and the effects of declining agricultural prices on farm and rural economic well-being. Farm subsidy payments increased in many developed countries. The effects were seen as being especially harmful to third-world farmers and were one reason why many third-world countries which were formerly near self-sufficient in grain/food production became major grain importers. The need to increase agricultural commodity prices and to reduce subsidies was one of the priorities for the Doha Round of international trade negotiations. The complacency about world food supply changed quite abruptly in late 2007 and into 2008 because of a major spike in grain prices. From January 2004 to May 2008, the world price of wheat in US dollars was up 108%, rice up 224%, corn up 88% and soybeans up 53%. Prices for all subsequently dropped by about 30% between May 2008 and March 2009. The price spikes in 2007-2008 were very similar to those experienced three decades earlier in the 1970s. Many analyses have been done on causes of the spikes and there is broad agreement on the significance of several factors, including: poor wheat crops in some major grain growing areas of the world, low global stocks for principal grains, increases in oil and fertilizer prices, a decline in the rate of exchange of the US dollar (spikes were not so high in other currencies), new grain export restrictions by several countries, and panic buying and hoarding. There was no global grain shortage at the time. Increased global meat consumption, especially in China, was not a contributing factor. China and India were both net grain exporters during 2007/08. There is no consensus as to whether market speculators contributed substantially to the price spikes. Increases in grain and other commodity prices were not experienced universally around the world. The magnitude, and even the existence of a grain price spike in 2008 and decline thereafter, differed dramatically by geographic area – and even by location within the same country. Biofuels have figured prominently in discussions about causes of the price spikes in 2007-2008. There are major differences of opinion about the extent of the influence with estimates ranging from about zero to more than 70%. Medium-term economic models agree that biofuel demand has and will put upward pressure on prices for those agricultural commodities used in biofuels production. However, available evidence suggests that biofuels had a relatively small contribution to the 2008 spike in agricultural commodity prices where its impact was largely limited to the maize market with some knock-on effects on soybean prices. Studies which have found a large biofuel impact across agricultural commodities have often considered too few variables, relied on statistical associations or made unrealistic or inconsistent assumptions. A significant feedstock for biofuel use, sugar, did not see a large rise in price during the spike period but increased significantly in 2009 when other commodity prices had fallen back from their peaks. Whilst commodity prices have fallen steeply from their peaks in 2008 biofuel demand has remained steady – indicating that the causal link from biofuel demand to short-term crop prices is still relatively weak. A review of all studies suggests that ethanol production might have been responsible for 20-40% of the peak price in US corn prices experienced in 2008. There is a consensus in a number of recent studies that an elimination of US ethanol support programs would mean a corn price decline of about 15% relative to the base (status quo) case. At an average Chicago Mercantile Exchange corn price of $2.70/bushel, 15% equates to about 40 cents/bu. For $4.00 corn, this increases to 60 cents. Of course, if ethanol production ceased overnight, the price impact would be far greater, given the near-term inability of supply to adjust to the reduced demand. By increasing the provincial usage of corn so that Ontario changed from a net-corn-exporting province to a net importer, ethanol production would have been expected to have increased the corn adjusted price basis in Ontario. However, there is only a marginal pattern for this basis having increased, and only for years 2002 through 2005. Ontario corn prices relative to those in Michigan increased, on average, by about $0.29/bushel, for seven crop marketing years beginning in 2000/01, but the differential has since reverted to more historic levels because of higher Ontario corn yields and production. Increased ethanol production in Michigan is also a likely factor. A critical question is: What would the price relationship between Ontario and Michigan corn prices be if Ontario did not now use about 110 million bushels of corn, annually, to produce ethanol? A graphing of the long-term relationship between the Ontario-minus-Michigan price differential and the annual difference between Ontario annual corn production-minus-usage shows that a 110-million-bushel reduction in usage could mean as much as $0.50/bushel in lower price. Even if the effect is only half of $0.50/bushel, it amounts to a large amount of farm income, when multiplied by a provincial corn crop of nearly 300 million bushels. Biodiesel has had no effect on oilseed prices in Ontario/Canada to the present. As this is being written, another price peak is occurring for grains and other commodities. Current futures prices for corn, wheat and soybeans are close to those seen in 2008. Price patterns for grains, oilseeds, oil, fertilizer and other commodities in recent years have an uncanny resemblance to what happened in years around 1974 and again around 1980. As in 2007-2008, recent price changes for specific food commodities have varied dramatically among countries of the developed world – for example, corn price up by almost 100% in Moldavia in Eastern Europe and down by 50% in Uganda. The 2010-2011 grain price spike seems to have been largely caused by poor wheat crops in several countries, tight global stocks, and unusually large wheat purchases by several countries, especially those experiencing civil unrest in North Africa and the Middle East. Biofuels continue to be identified in the media and by some organizations as one factor contributing to the price increases. Primary prices paid for agricultural commodities represent only about 19% of prices paid for food by consumers in developed countries. Average food prices did increase in Canada and the United States, by as much as 7% in year-over-year comparisons, in part because of agricultural and energy price spikes in 2008. Food company profits grew during this period. The food price increases in 2007-2008 also need to be put into perspective of the much longer trend for declining real food prices. Canadian consumers spend only about 12% of disposable income on food. Average Canadians earn enough money by January 9 to pay for the farmers’ share of all food purchases for the year. Biofuels may have caused this date/time to have been delayed by a few hours. Ethanol blending has reduced gasoline prices (i.e., relative to what they would have been without ethanol supply) by an average of $0.06 – 0.10 per litre in US studies. A similar price benefit can be calculated based on the low elasticity (-0.5) of gasoline consumption versus price, and the fact that ethanol now represents 5% of the world’s gasoline supply on a caloric energy basis. The resulting economic benefit for Canadian families is estimated at $100-180 per year – or about three times larger than the estimated additional $35-60 spent for food in 2008 because of biofuel-related grain price increases. While food does represent a significant expenditure for most Canadian families, price issues need to be put in perspective against the much larger issue of being over-weight or obese. Globally, 1.6 billion people are over-weight or obese. In addition, about 40% of food is wasted in Canada. The food problem in Canada tends to be one of over-supply, over-consumption and wastage, not inadequate supply or high prices. About 850 million people around the world were estimated by the FAO to be hungry in 2006 and 925 million in 2010. There were about 880 million hungry people in 1970. While the proportion of humans who are hungry has declined significantly over 40 years, 925 million hungry is still a major tragedy. One of the critical causes is a substantial reduction in government support for agricultural development in most developed countries over several decades. Although the largest share of the world’s hungry are in Asia, this number is in decline because of substantial improvements in agricultural productivity. The biggest problem is Sub-Saharan Africa where agricultural productivity is very low and scarcely improving; half of the world’s hungry will be there by 2020. Fortunately, the opportunity to improve agricultural production – both through increases in cropped acreages and in per-acre yields – is very large. Hunger also exists to an unacceptable level in several Latin American and Caribbean countries. Rice and wheat are the main food crops in most under-nourished countries, with the exception of Latin America and some East and Southern African countries where white corn is very important. Government pricing policies for white food corn have insulated consumers in some of these countries (example, Mexico) from the effects of increasing prices for imported yellow feed corn. Recognition is needed of the 25-50% of food which is wasted or spoiled. Poor transportation infrastructure, corruption and high energy costs also contribute to hunger in developing countries. The USDA has calculated that the amount of grain and equivalent (eg., starchy root crops) needed to eliminate caloric food deficiency for 70 studied countries in 2010 was about 24 million tonnes. This represents about 1.1% of current world grain production (about half of average Canadian output). It’s only about 4% of current grain production in the 70 countries themselves. The FAO’s Food Price Index (FPI), after remaining around 100 for nearly two decades, reached a peak of about 215 in mid 2008, then declined to about 140 in early 2009 before moving upward to reach 236 in February 2011. In inflation-adjusted dollars, the FPI is approaching levels not seen since the 1970s. However, the local equivalent of the FPI is strongly influenced by exchange rates and changes in the FPI often bear no resemblance to what happens at the local level in developing countries. Add to this the fact that the principal food crops in most countries are rice and wheat, rather than corn and soybeans which are mainly used for livestock feed, processed foods and biofuels. It seems reasonable to conclude that effect of the biofuel component of grain commodity price spikes of 2008 on third-world hunger was very small. The same interpretation seems valid for 2011. Oil price increases have had a much larger effect. Although bioproducts have been largely ignored in the biofuel-versus-food discussion, bioproduct production cannot avoid the debate. We are already seeing examples of discrimination against bioproducts produced from grain and oilseed crops. Some forecasters suggest that current high farm crop and food prices are the new norm, and that prices will be both higher and more volatile for years to come. A common projection is that the world’s food supplying capacity will have to increase by 70% between 2000 and 2050, or about 1.1% per year. By comparison, average world grain yield increased by 1.5% per year between 1987 and 2007. Some forecasters, such as the OECD-FAO Outlook on Agriculture, expect prices to decline from current peak values, but still to persist at above-historic levels at least for the next decade. A comparison with the era of commodity/food price spikes of the 1970s and 1980 provides valuable insight. During this earlier period, many public statements were made that commodity and food prices had climbed permanently to a new plateau. But in inflation-adjusted dollars, crop and food prices moved to new lows after 1980 as world food supply grew at a rate which exceeded population growth. No one knows what lies ahead so we can only speculate. Much depends on future petroleum prices and on future rates of inflation. The writers of this report suggest that history does repeat itself. With the increased attention now being devoted to food production by many countries, especially in developing countries, the rate of growth in global production of grains, oilseeds and other basic food commodities is likely to increase in the coming decade(s). A 1.1% or higher average annual rate of growth is fully achievable if modern agricultural science is allowed to prevail. Africa has been identified as a primary target for $20 billion in new agricultural developmental assistance agreed to by the G8 Group at its 2009 meeting in L’Aquila, Italy. Major leadership is being provided by some industry and non-government organizations. This does not ensure success in increasing food self-sufficiency in Sub-Saharan Africa, but the odds for success are much higher now than perhaps ever before in history. Climate change has been identified as a factor which will dominate future agricultural productivity. However, the International Panel on Climate Change presents a far-less certain view. If this scenario plays out as projected above, the result could be static or even reduced demand for grain and oilseed exports to developing countries in years ahead. This will occur even as crop yields continue to grow in countries like Canada. A critical question is, then, “What will Canada and other countries do with this surplus capacity?” Also, will this mean a return to an era of very depressed crop prices and farm/rural incomes in the decade(s) ahead? A declining rate of population growth and an aging population in Canada and many other developed countries will add to the likelihood of over-supply. One policy option in the coming years is to return to massive farm subsidies as a means of maintaining farm incomes in developed countries. A second option is to restrict future agricultural productivity in Canada and other developing countries by restraints on the use of agricultural inputs such as fertilizer, pesticides and advanced genetics. However, this invites crop and food imports from other countries without these restrictions. A better option is to find other ways of using this excessive domestic productivity while also addressing other societal goals. Biofuels have been one avenue for doing this. Bioproducts represent a major opportunity to use the impending surplus agricultural capacity if supporters can counter reactions to the use of so-called food crops to produce non-food items. Bioproduct development is an especially appealing market opportunity for Ontario grain and oilseed farmers, given the experience which they already have in growing crops for non-food markets and in growing higher-value, identity-preserved crops for specialty markets.